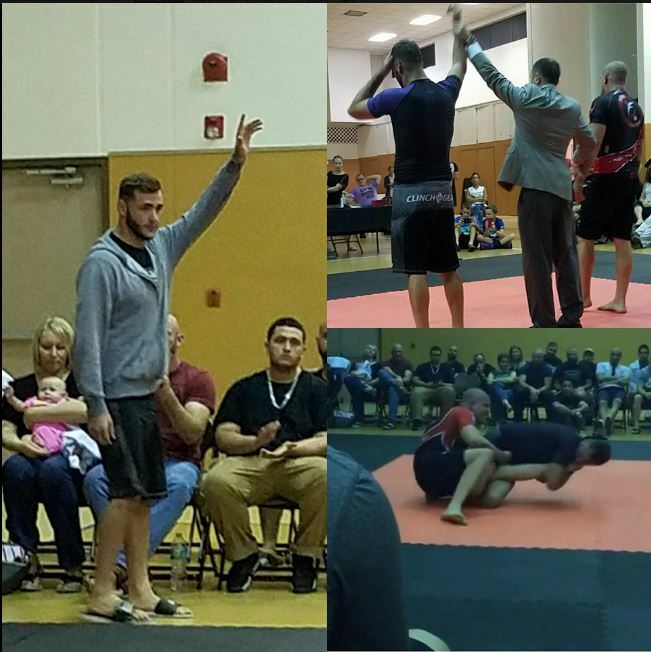 Coach Dylan went up against a very tough competitor at the Sapateiro Tournament August 13, 2016 and won with a knee bar submission. Make sure to congratulate coach when you see him next. 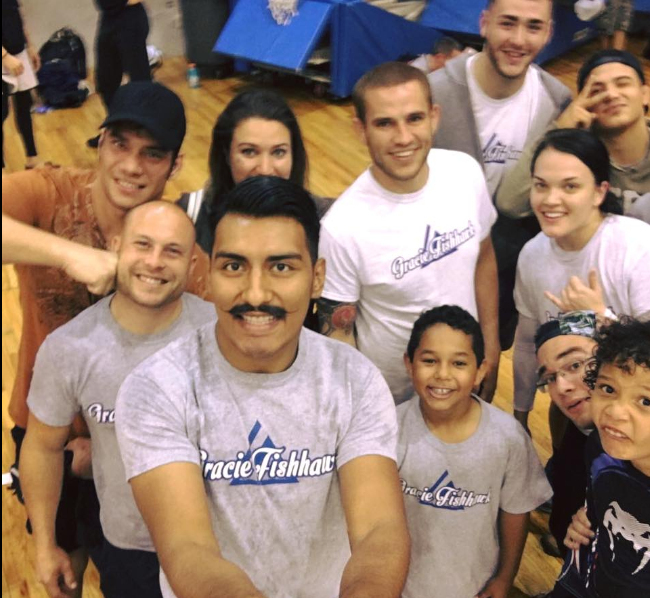 Gracie Fishhawk had a great showing at the MMAC tournament in Orlando. Crew took home some new hardware and everyone had a blast. 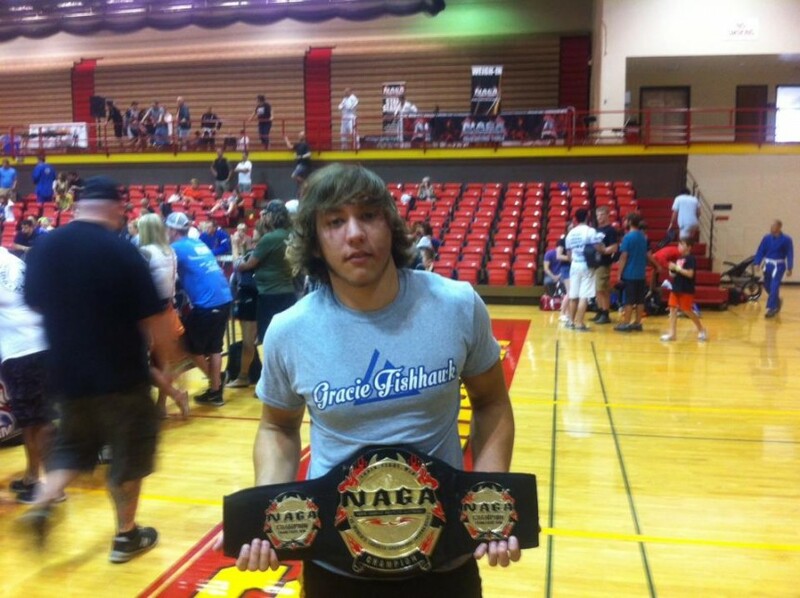 Drake won 1st in No Gi Expert at NAGA Grappling Championship in St. Louis Missouri on July 18th. Hard work pays off. School is almost out and the kids are free during the day so Travis has initiated a few daytime kids classes for summer. A 9:30AM to 10:15AM Monday, Tuesday and Wednesday and a 9:30AM to 10:15AM on Saturday. See Travis for details. Due to the growth and success of our teens, we have begun a teen class at 6:15PM Monday through Friday. Teens learn self defense and Brazilian Jiu- Jitsu fundamentals. Bring your teen in and watch their skills and confidence take off. A Win at Five Grappling N.A.I.C. Congratulations to our lead BJJ instructor, Joshua Hayden, on winning the NoGi Expert Middleweight Division at the Five Grappling North American Invitational Championship in Miami this past weekend. Josh was victorious in an extremely competitive division which included some of today’s best BJJ competitors. Great job, Josh! 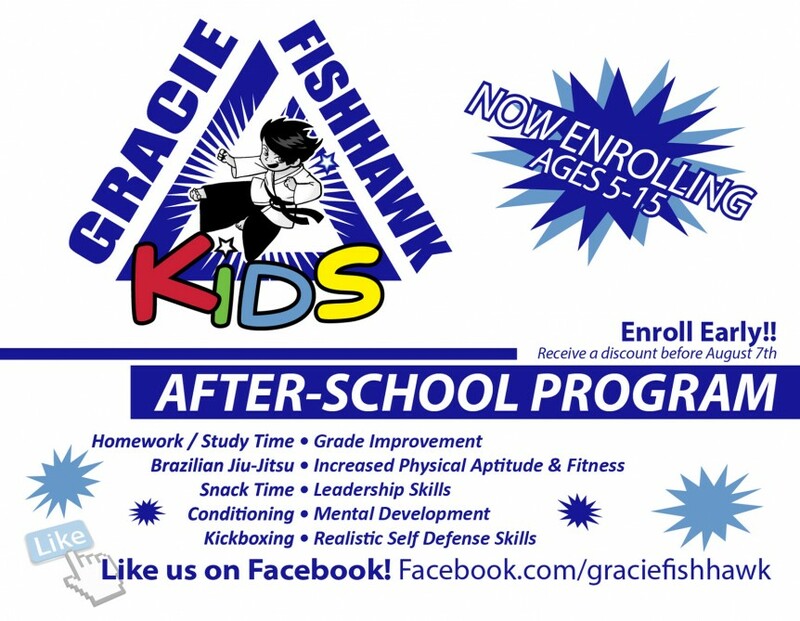 Visit Gracie Fishhawk on Facebook and Like Our Page.